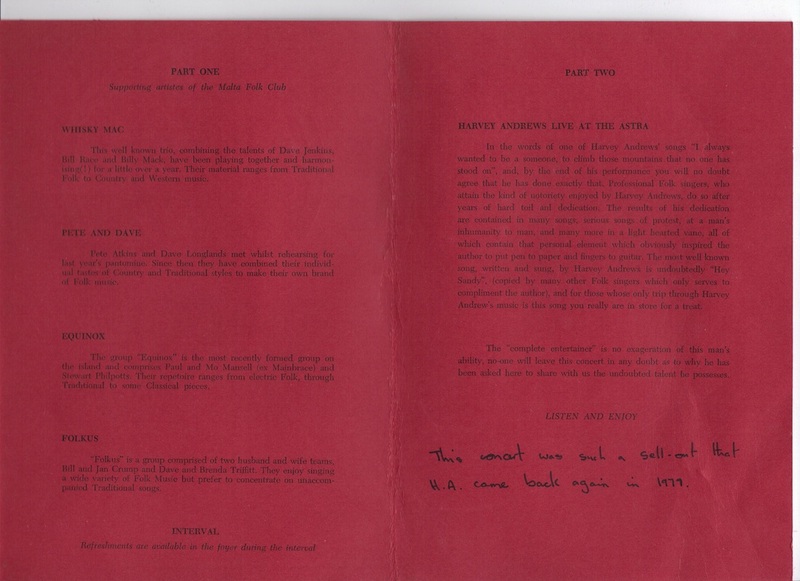 I have been asked, by Leonard Callus who is an officer at the National Archives of Malta, if photographs on the RAF Luqa Remembered website may be used by the National Archives. 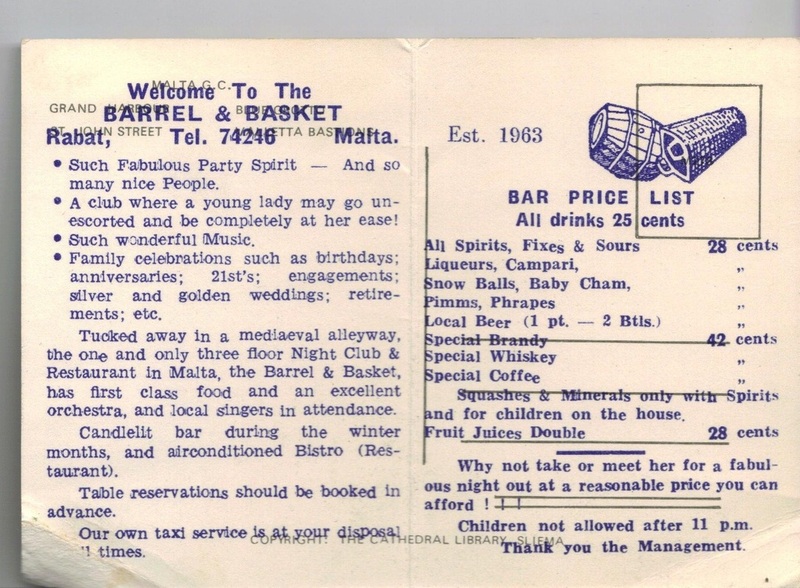 The National Archives of Malta prefer to digitise photographs, artefacts (old theatre and sporting programmes, tickets etc.) 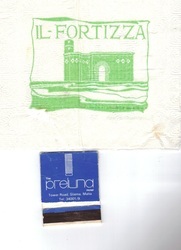 and if you send them directly they will reimburse postage costs and return the photographs, 35mm slides, negatives. Leonard Callus, National Archives of Malta, Triq I-Isptar, Rabat, RBT 1043, Malta. 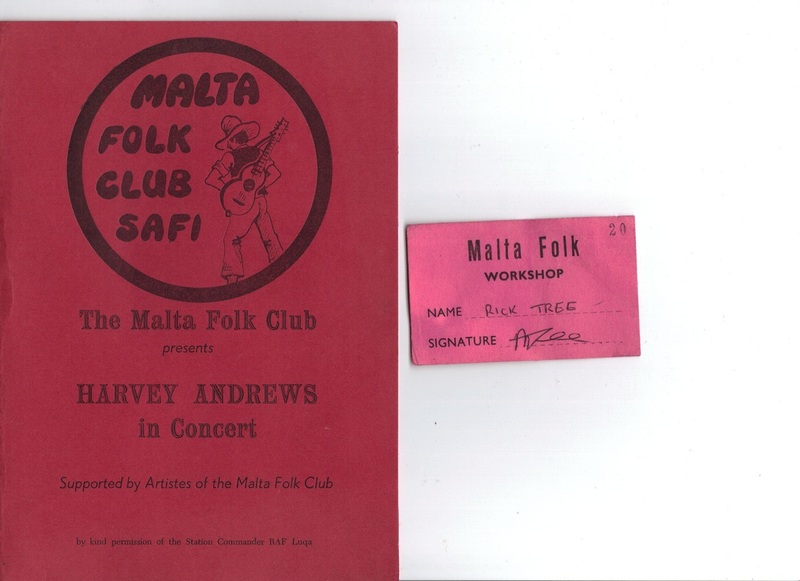 From Richard and Linda Tree, memories of the Malta Folk ClubMalta Folk Club (Safi),. One odd one of a dummy torpedo recovery. 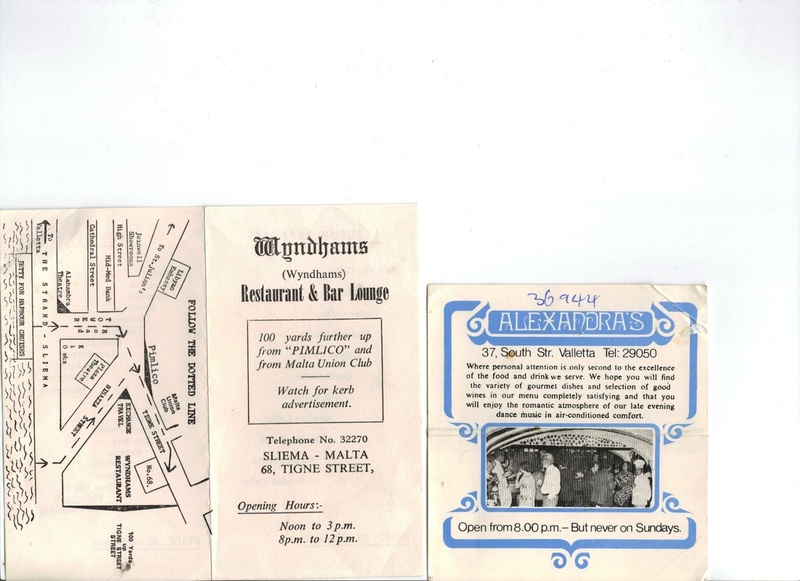 I was posted to RAF Luqa in November 1974 as a newly fledged Nimrod navigator and joined 203 Squadron where I spent three years and three months, returning to the UK in February 1978. All junior officers (as I was) had to have a secondary duty which meant being the Officer in Charge (OIC) of something or other on the station. The responsibilities associated with a secondary duty were many and varied depending on what the secondary duty was and this could range from being OIC of the station football team or something pretty boring like a barrack block. 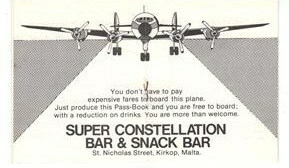 The trick as far as secondary duties were concerned was to try and get one you were interested in if at all possible. 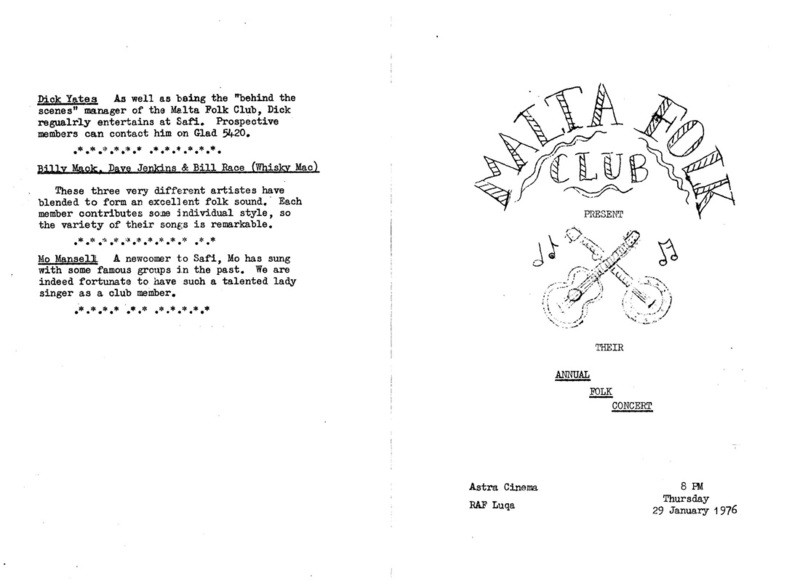 By the time I arrived in Malta I had been playing the guitar and singing for quite a few years and when the then OIC the Folk Club was posted back to the UK (sometime in 1975) I put my hand up to take over and was duly appointed. The Folk Club used to meet every Thursday evening in an old Nissen hut at RAF Safi, Safi being the site of a disused wartime airfield which was mainly used for storage when we were there. The Folk Club’s Nissen hut comprised a storage room (for the bar) at one end of the building, a larger room which housed the bar and then a much larger room where we used to perform. 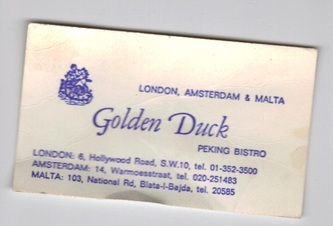 In that room (which was a large rectangular shape) was a fairly small dais surrounded by a considerable number of quite comfortable bamboo armchairs, I seem to remember that the inside was painted a rather garish purple colour but as it was not fully lit this was not so noticeable. We tended to stay inside a lot of the time but there were occasions during the summer when we would move all of the chairs outside through the back door and indulge in folk singing al fresco which was very pleasant with coloured lights stung up in the surrounding trees. 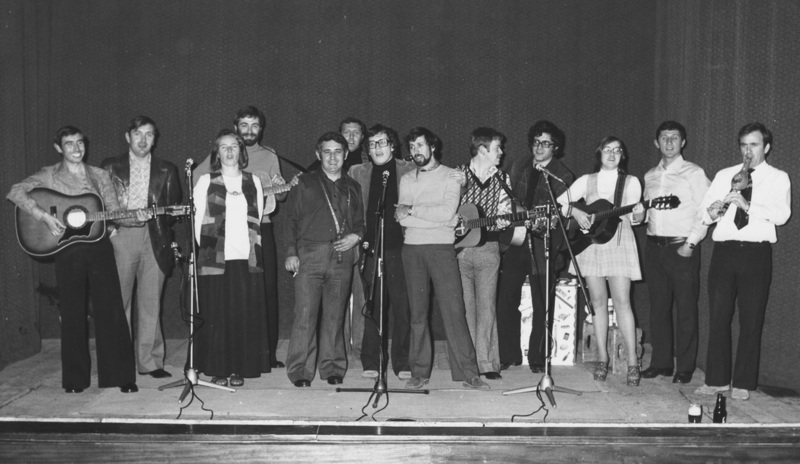 Folk Club membership was 50 cents a year (10 cents entrance fee for non-members) and the drinks were not expensive so it was a very reasonable night out. 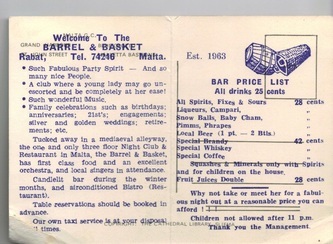 Whilst the Folk Club was ‘run’ by the RAF, it was very much a joint services club and members, and their families, were drawn from all arms of the services stationed in Malta. As a consequence of this we had a considerable pool of talented folk who would come to the Folk Club and play and sing for the enjoyment of all. 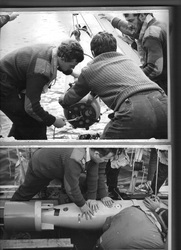 We also used to get visiting artists from ships or squadrons etc. who were detached to the island or passing through. 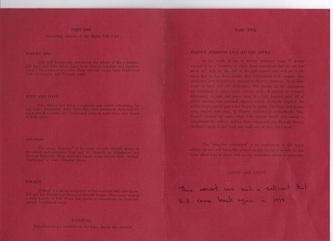 The way things generally worked was that individual acts would do their sets through the evening (and there was normally a break of 20-30 minutes during the proceedings) and to close the night all of the performers would join together and sing two or three well-known songs, often unaccompanied with much harmonising (like ‘Wild Mountain Thyme’) and everyone was encouraged to sing along. The finales certainly tended to raise the roof. 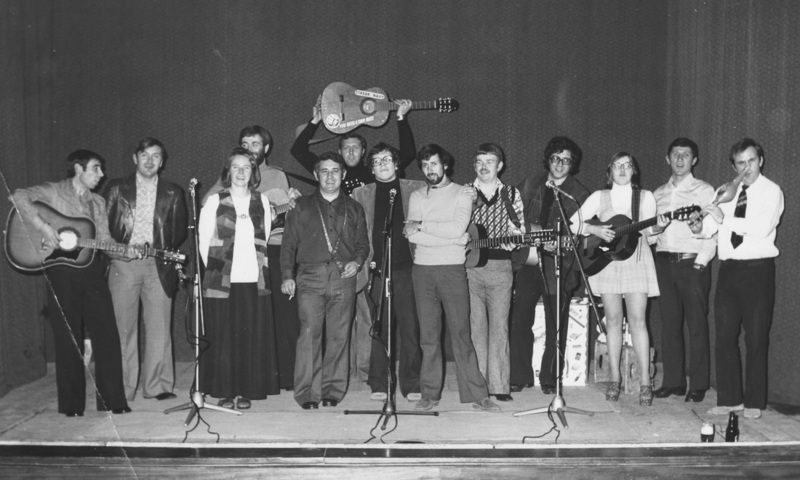 It had become something of a tradition to stage an annual folk concert in the ‘The Astra’ cinema, a couple of the programmes and a few photographs of these events are elsewhere on the website. 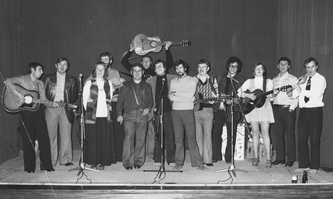 The stalwart performers from the Folk Club also used to provide the entertainment for folk nights at various service messes and clubs on the island. 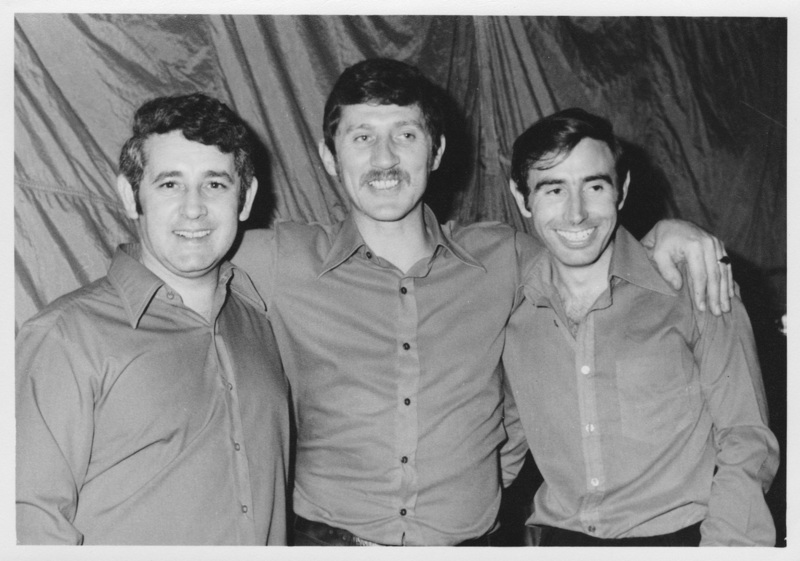 I don’t remember why but for some reason the Folk Club at Safi did extraordinarily well financially and because such service clubs were not supposed to make a profit this started to become a bit of an embarrassment. We first started spending our gains on updated PA equipment and lights and things but this didn’t really make much of a dent in the accumulating funds. 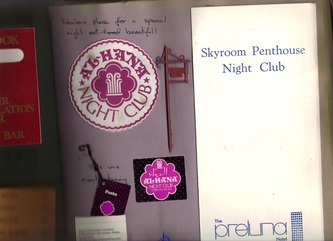 With some of the others who helped run the club it was decided that we should explore the possibility of bringing folk artists out from the UK at the club’s expense. We knew well enough that many UK folk artists ‘entertained the troops’ in such places as Germany and Cyprus so we figured something along these lines should be possible (and we had to spend the money!). 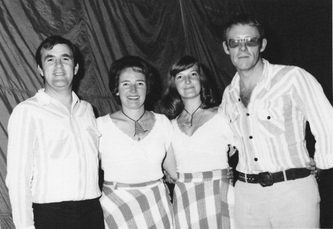 All of the artists that made the trip while I was OIC were managed by a lady called Ann Dex whose office was in the West End of London. The Nimrod crews on 203 Squadron used to go back to the UK for a week every 3 months and fly up to Kinloss to do our simulator training and I was able to contrive to meet Ann Dex on several of these trips while passing through London and negotiate the arrangements for our visiting performers. 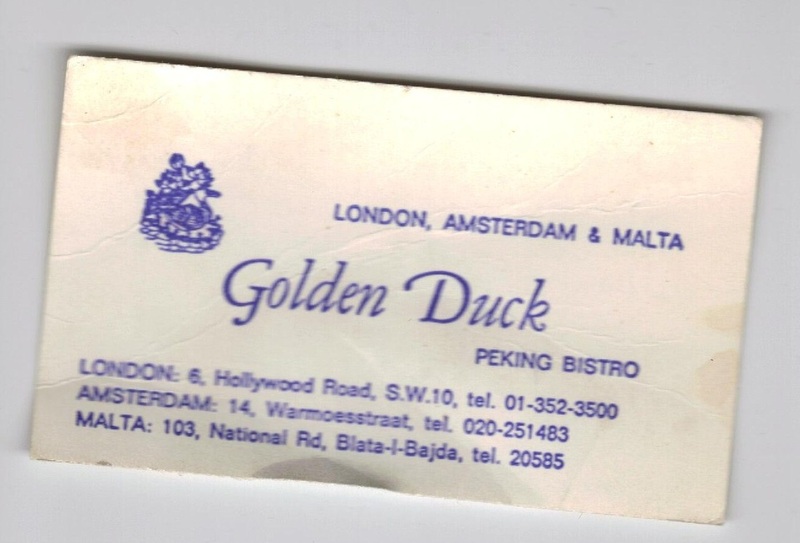 If my memory serves me well, though I cannot remember the precise dates, the first acts that we flew in were Harvey Andrews and his pianist John Dunkelly together with a Canadian singer called Bonnie Dobson and the show was a great success. 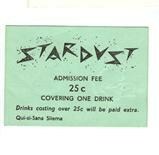 Although the tickets were well subsidised we made yet more money so we had to make plans to bring out some more acts. Harvey came again on his own maybe a year after the first trip and that concert was the one covered by the programme printed on red card that is on the website. 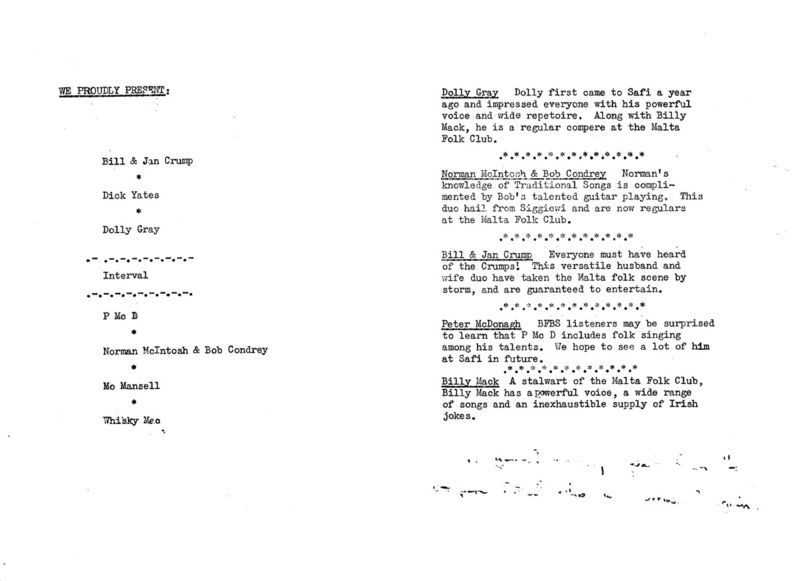 Harvey and his wife actually came out for a holiday (though I cannot remember whether it was the same time as the formal concert or another time) and stayed with one of our Folk Club members, Bill Race I think. Whenever that was, we organised several folk nights around the place while he was there when us ‘locals’ provided the support acts for Harvey. Two of the venues for these events that I remember were the Sergeant’s Mess at Luqa and the Kalafrana Beach Club. 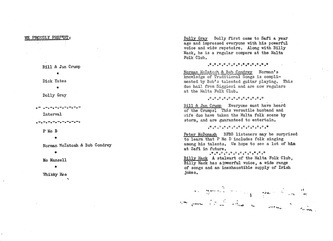 Harvey was so taken with the name Kalafrana that he wrote a song called ‘Kalafrana Banana’! I went to see him play in Sheffield or Rotherham a number of years later whilst I was doing a course at Finningley. Before the show began I found Harvey round the back and said ‘hello’ and he played ‘Kalafrana Banana’ during his set. 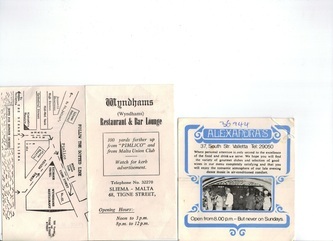 The last concert I remember organising must have been sometime around July 1977 when I arranged with Ann Dex to have the McCalmans come out to Malta. The McCalmans (Ian McCalman, Hamish Bayne and Derek Moffat) were a very popular Scottish folk trio who put on a great show which was highly polished and very entertaining. 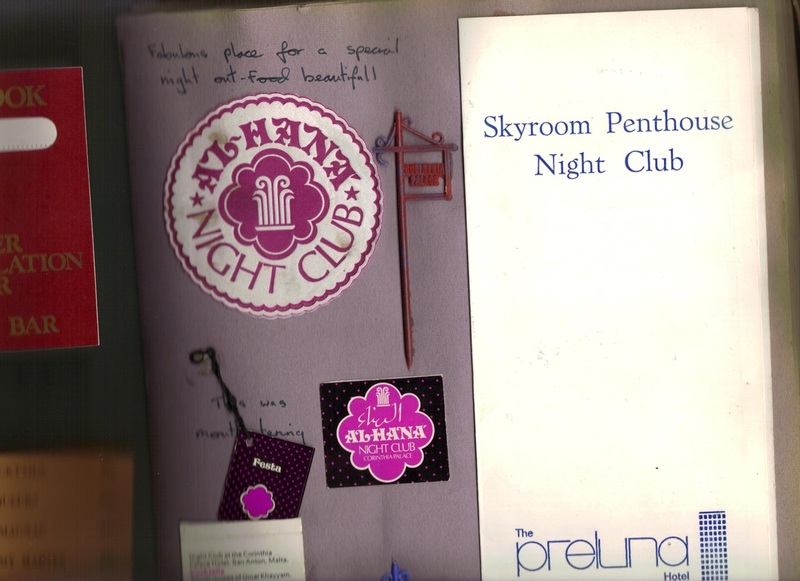 I cannot be sure but we may have staged the event on two nights running and I remember we enjoyed some fantastic parties with Ian, Hamish and Derek while they were there, one at my home in Balzan where we were all up on the flat roof. That was very memorable because it was the evening of the ‘festa’ in the neighbouring village of Lija and we had a grandstand view of the incredible fireworks. 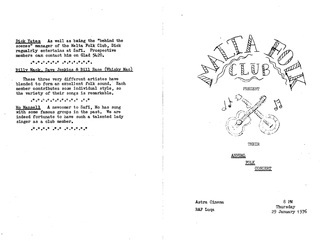 I have always felt that my tour in Malta was the most enjoyable period of my time in the RAF and being intimately involved in the Malta Folk Club was the icing on the cake. It was such terrific fun and made all the more so by the people who used to come to Safi on Thursday evenings. 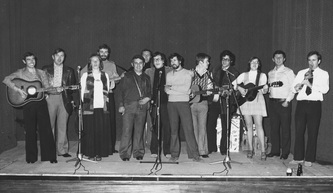 I regret that I cannot remember the names of all of those who participated in the Folk Club’s success during my time but some that I remember well are Billy & Betty Mack, Dave & Ann Jenkins, Bill Race, Bill & Jan Crump, Dave & Brenda Triffitt, Dolly Gray, Graham Stephens, Pete Atkins, Bill Hodgson, Paul & Mo Mansell, Norman McIntosh, Bob Condrey, Brian Thornton and Richard and Linda Tree. To those I have not mentioned, it isn’t personal, just the thickening mists of time. They certainly were happy, happy days.